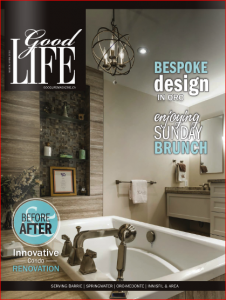 Thank you Good Life Magazine for featuring Gravity Salon in the March / April 2015 edition. 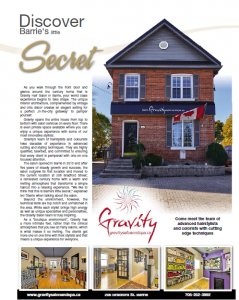 As you walk through the front door and glance around the century home that is Gravity Hair Salon in Barrie, your world class experience begins to take shape. The unique interior architecture, complemented by vintage and chic décor creates an elegant setting for a perfect ‚in-the-city getaway‘ to pamper yourself. Gravity spans the entire house from top to bottom with salon services on every floor. There is even private space available where you can enjoy a unique experience with some of our most innovative stylists. 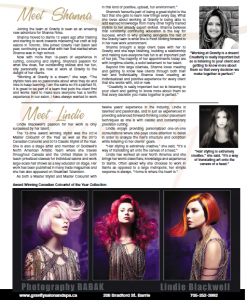 Gravity’s team of hairstylists and colourists have decades of experience in advanced cutting and styling techniques. They are highly qualified, talented, and committed to ensuring that every client is pampered with one-on-one focused attention. 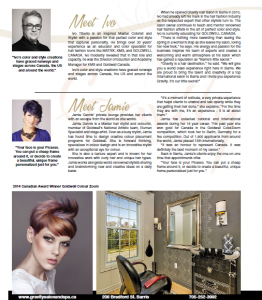 The salon opened in Barrie in 2010 and after five years of steady growth and success, the salon outgrew its first location and moved to the current location at 206 Bradford Street; a renovated century home with a warm and inviting atmosphere that transforms a simple haircut into a relaxing experience. “We like to think that this is Barrie’s little secret,” explained Ivo Tiberio when talking about the salon. Beyond the environment, however, the technical skills are top notch and unmatched in the area. 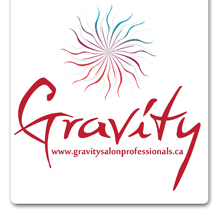 While each stylist brings high energy as well as unique specialties and personalities, the Gravity Salon team is truly inspiring. Love to play with your hair on the weekends? Create and rework styles without that pesky product stickiness – see why playable texture is a stylist favorite!